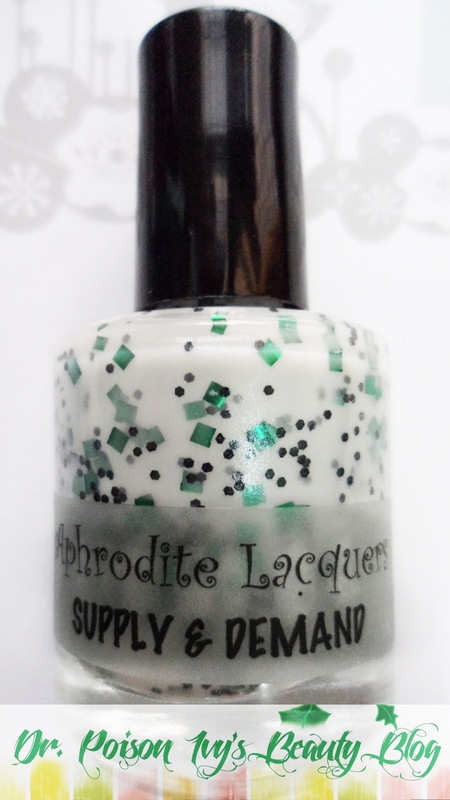 Today i am showing you the swatches of Aphrodite Lacquer "supply and demand". It has a creamy white base with round black and green square glitters. The glitters are not overloaded and so you can gradually build them up according to the intensity you desire. As for me ,i used 4 layers to acheive the desired effect. I have already reviewed "Doorman". and "Enchant"
The pictures may seem a little blurry but that is because it's compressed. 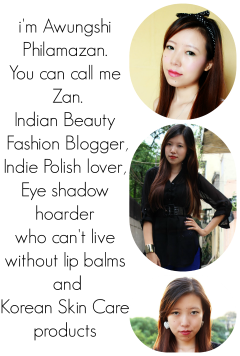 Click the pictures to enlarge them and see the HD ones. is the base coat and chamkis(lol) in the same polish..? If yes, Its awesome!!! i soo badly want these :P :P but 8$ fr a nail paint !!!!! i knw!!! you r so true.. they look yummy!! hehe.. but the amount is hugeeee 15 ml!!! 4 layers ? The nail polish looks light! Not clumped even if it's 4 layers. And *oooh sparkles* ^.^ loove the glitters! don't laugh but this lacquer reminds me of this! haha you got it right!! I haven't seen this one yet, I love it! I'm a sucker for white cremes with glitter! twist of fate didn't took place earlier! I bookmarked it.